Pacin Levine, P.A. is a litigation and trial firm dedicated to helping the people, not insurance companies, and big corporations. Pacin Levine, P.A. was established on the belief that people, not just corporations, deserve aggressive and competent representation. The founders began their career in the trenches of large insurance defense law firms. While representing insurance companies, the founders learned invaluable information which they have used to successfully represent the people. Hiring a Litigation and Trial Firm such as Pacin Levine, P.A. from the beginning can be an asset. We understand the importance of helping a victim piece together their life physically, mentally and financially after suffering a catastrophic injury, job loss, or being discriminated at work. At Pacin Levine, P.A., we are experienced employment, worker's compensation, and personal injury attorneys. We are prepared to provide you with the professional services needed to accurately review the details of your case. We will work with you to determine the best course of legal action to obtain maximum compensation for your damages. We understand that the time immediately following any unexpected job loss, ongoing discrimination at work, or injury can be very confusing. Pacin Levine, P.A. is a litigation and trial firm that fights for the rights of people, not insurance companies or big corporations. Pacin Levine, P.A. was established on the belief that people, not just corporations, deserve aggressive and competent representation. The founders began their career in the trenches of large insurance defense law firms. While representing insurance companies, the founders learned invaluable information which they have used to successfully represent the people. Hiring a Litigation and Trial Firm such as Pacin Levine, P.A. from the beginning can be an asset. We understand the importance of helping a victim piece together their life physically, mentally and financially after suffering a catastrophic injury, job loss, or being discriminated at work. At Pacin Levine, P.A., we are experienced employment attorneys and prepared to provide you with the professional services needed to accurately review the details of your employment case. We will work with you to determine the best course of legal action to obtain maximum compensation for your damages. We understand that the time immediately following any unexpected job loss or ongoing discrimination at work can be very confusing. At Pacin Levine, P.A. we are ready to fight for you. We understand that an work place injury can be debilitating. Let us help! The Founders started in the trenches representing big corporations and insurance companies. Through that experience they watched corporate america take advantage of people. Ultimately, Marc Pacin and Mark Levine founded the Firm with the goal of representing those who have been wronged, rather than big insurance companies and corporations. The Founders started their career representing insurance companies and corporate america before forming Pacin Levine, P.A. The Firm uses the inside knowledge an valuable experience to now fight insurance companies and corporations. Our Firm was started because the founders watched insurance companies and company america take advantage of individuals. The Firm takes cases against these same companies personally to ensure clients receive just results. Marc D. Pacin is a Founding and Managing Partner of Pacin Levine, P.A. He has extensive experience in all areas of civil litigation. His practice areas include employment discrimination, employment harassment, wage and hour claims, wrongful termination, personal injury, wrongful death, car accidents, trucking accidents, motorcycle accidents, slip and falls, day care abuse, personal injury protection, negligent security, catastrophic injury, worker's compensation and bad faith. 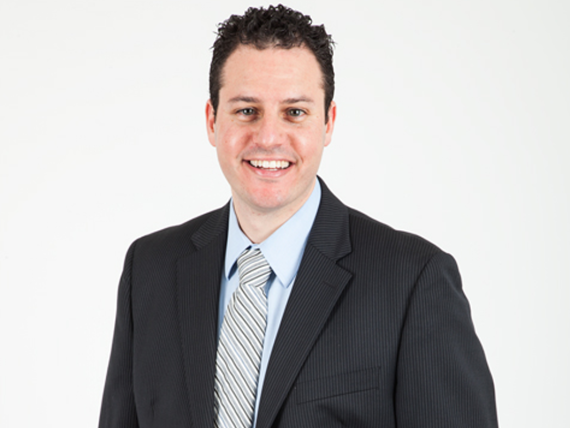 Marc earned his undergraduate degree from the University of Florida and his Juris Doctorate from St. Thomas University School of Law. After law school, Marc immediately earned invaluable court room experience working at Wadsworth Huott, LLP, an insurance defense firm. While an attorney at Wadsworth Huott, LLP, Marc handled catastrophic injury cases, trucking accident cases, wrongful death and slip and falls. This paved the way for Marc to become a successful personal injury attorney who now represents the public against these large insurance companies and financial institutions to ensure his clients receive the compensation they deserve. In 2010, 2012 and 2013, Marc was selected by his peers and published in Florida Trend Magazine as a "Legal Elite". Marc has also received numerous peer endorsements from his colleagues and maintains an "Excellent" rating on Avvo.com. Marc is committed to his community and serves as a Mt. Sinai Hospital "Young President", is a member of the Jewish Federation, the Florida Bar, U.S. District Court, Southern District of Florida, and Dade County Bar Association.